Sheer Silk Scarf with Tiny Glitter and Fringe This sheer silk scarf has a fringed edge and is sprinkle of tiny glitter. The glitter gives just a hint of sparkle without being overly noticeable. 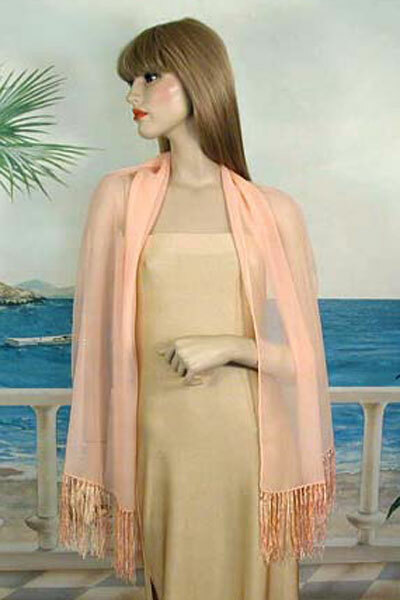 Silk chiffon scarves drape well without sliding off your shoulders. This is a nice scarf that can be worn as a light shawl over your shoulders, clipped in the front or around the neck. Color: peach Hue: Code: #FFC197.